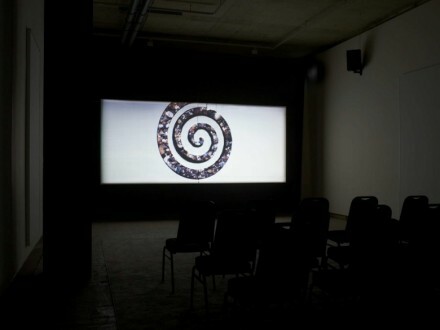 The current exhibition on view at Frith Street Gallery in London features Tacita Dean’s 2012-2013 projects, JG (a 26.5 minute film shot on 35mm anamorphic film) and c/o Jolyon, a series of 100 original postcards of pre-war Kassel in Germany, overpainted with contemporary scenes from the same place. Born in 1965 in Canterbury, Kent, Dean is an English artist working primarily with the medium of film. She is one of the key members of the Young British Artists (YBAs) group, which was initiated mainly by Damien Hirst and Tracey Emin in 1992, and has since expanded to include Dean as well as Jake and Dinos Chapman, Gary Hume, Sam Taylor-Wood, Fiona Banner and Douglas Gordon. She was nominated for the Tuner Prize in 1998 after her 1996 film Disappearance at Sea, and won the Aachen Art Prize in 2002. In 2013, she was appointed Officer of the Order of the British Empire (OBE) at the New Years Honors for her service to British Art overseas. Dean is best known for her work on 16mm film, and she has often used the sea as a recurring theme in her films. 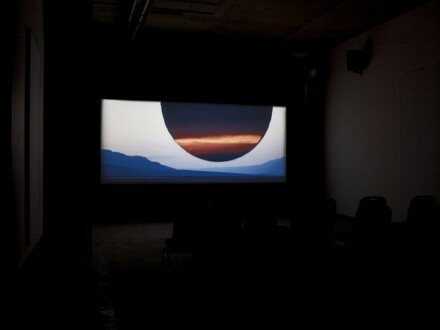 Her film on-view, JG, is a sequel “in technique” to her 2011 project for Tate Modern entitled FILM. The film was shot in Utah and California using her recently patented system of aperture gate masking. The film is a direct response to a challenge posed to Dean in a letter from J.G. Ballard, which he wrote shortly before he died, asking her to solve the mysteries of Robert Smithson’s Spiral Jetty (1960) artwork, located in the Great Salt Lake of Utah. The technique of aperture gate masking involves using different masks or stencils over the image in order to expose the film multiple times and create parallel images shot at different times on a single stretch of film. Dean has dedicated herself to the process of filmmaking as an artisinal craft, related to drawing and collage, restoring an inventiveness and physicality that accompanies the use of analog film. The film was made entirely in-camera, avoiding the digital post production editing phase that most film projects endure. 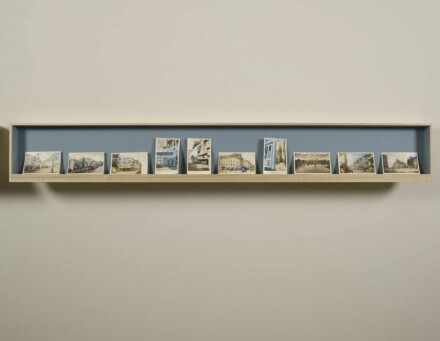 Dean’s other work on view, c/o Jolyonm was originally conceived for display at an exhibition in Afghanistan, and the 100 included postcards of prewar Kassel, Germany overpainted with contemporary scenes were mailed to the name c/o Jolyon, referring to Jolyon Leslie, the CEO of the Aga Khan Trust for Culture in Kabul. 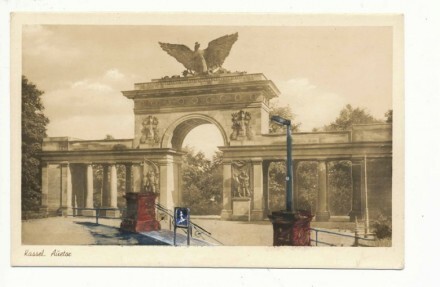 The first 50 postcards were shown at dOCUMENTA (13) in 2012 at the Queen’s Palace, Bagh-e Babur in Kabul, Afghanistan. The Frith Street Gallery will be the first to show the complete work of 100 postcards, and the exhibition is accompanied by a limited edition signed and numbered book of which 300 copies were printed. 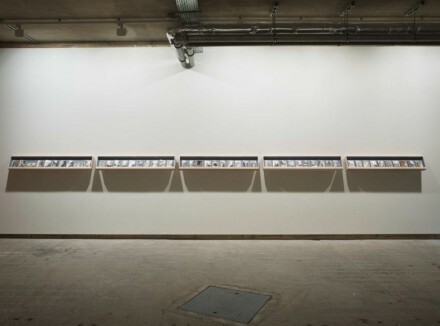 The exhibition of work by Tacita Dean will continue through October 26, 2013. This entry was posted on Tuesday, October 8th, 2013 at 12:00 am	and is filed under Art News. You can follow any responses to this entry through the RSS 2.0 feed. You can leave a response, or trackback from your own site.